James Booker was definitely a character. I don't remember if this was something I read elsewhere or from that movie, but there was a time when Jerry invited him to play a couple gigs, and they had a practice session, and James Booker treated him as if he was just some sideman that was working for HIM, and took the lead on everything, doing his own songs, and telling Jerry what to do do. James Booker...pure genius. Not exactly Netflix, but you guys have got to watch the latest episode of Broad City (season 4, episode 4). Lot's of tripping happening and a brief Phish reference. I'll say no more. Anyone else watching the new Stranger Things? I'm about halfway through and I think it's pretty great. I don't think this is really a "spoiler" per se, by there is a hilarious Goonies reference with Sean Astin early in the season. I won't ruin it, but I thought it was good enough to warrant a mention. That "pirate's treasure" line cracked me up too. We just finished up episode six and it's still a great show, but doesn't have me as riveted as the first season. There's an 'After-Show' this year also called Beyond Stranger Things. We haven't watched any of it yet though. 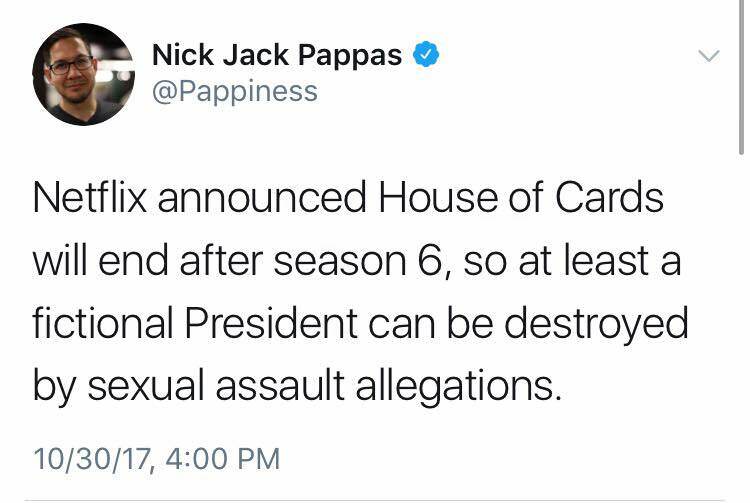 House of Cards has been cancelled cause Spacey is a pederast. I'm pretty much in the same boat. I'm hoping that they finish out the Hawkins storyline this time and come back for a third season with a brand new story, kinda like American Horror Story, Fargo and True Detective. As for an after-show, all of those "Talking" shows burned me out on that concept. Maybe this one's good, but I tend to see those types of shows as nothing more than a hype machine for the newtork, and in the case of AMC an excuse to sell an extra hour of commercials. It could be cool though. I'm not entirely allergic to the idea of it, considering that I'll watch the occasional comic-con panel. I think I'm just sick of Chris Hardwick's Hype Machine franchise. Finished up Stranger Things over the weekend. Not as good as the first season but it was enjoyable. Curious to see where they can take season 3, if they are going to have one. For those of us south of the great white north, the documentary of the Hip's last tour 'Long time running' was released yesterday on Netflix. Definitely worth a watch, especially if you're a Hip fan. If not, you might gain a little insight into the band and its longevity. 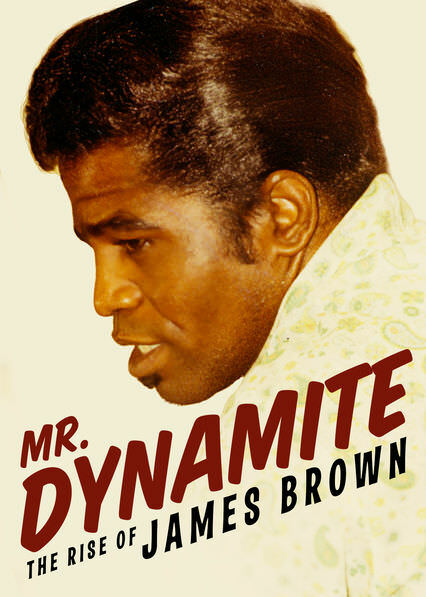 Finally watched Mr. Dynamite. It's really good. Highly suggested! !